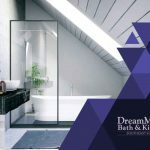 Tiles are one of the most important design elements of a bathroom. 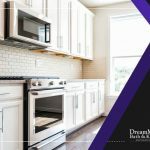 Choosing the right tile material, however, is challenging, especially given the variety of designs, colors and textures on the market. 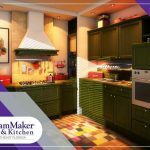 To help you make the best decision, DreamMaker Bath and Kitchen, a home remodeling company in the area, shares some tile ideas that will help reinvigorate your bathroom. Use large tiles to create an illusion of a bigger bathroom. Large tiles can trick the brain into thinking your bathroom is bigger than it is. For instance, large hexagon tiles add a unique character to your bathroom that can make it stand out. To draw the eyes to the longest part of the room, choose glossy subway tiles that are laid in a herringbone pattern. It’s one of the best ways to make the room appear bigger. Add a tall mirror to complete your bathroom’s look. 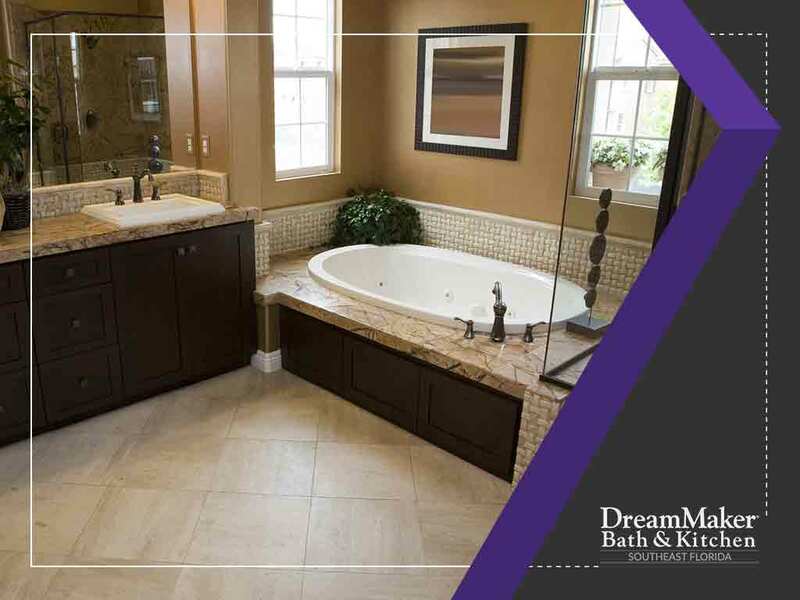 This type of bathroom flooring material offers a natural look that many homeowners like. It also has a translucent property. Ditch the traditional laminate flooring, which tends to expand and bubble over time. You may also ask your contractor during a bathroom remodel about the other flooring materials. For a retro-inspired bathroom, why not consider adding bubble gum pink tiles? This charming neutral color creates a major focal point throughout the room without adding extra features to your bathroom. 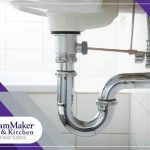 Entrust your bathroom remodeling to DreamMaker Bath and Kitchen. We’ll help decorate your bathroom depending on your preference. 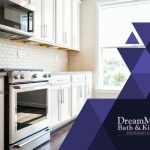 We also offer bathroom and kitchen cabinets to keep your space organized. Call us today at (772) 200-2625 or (561) 935-3915. You may also fill out our online form to learn more about our services. We serve residents of West Palm Beach, Port St Lucie, and Jupiter, FL.